This Monday I’m reviewing three flankers. What is a flanker? It’s a perfume that shares some attributes with a perfume that already exists (notes or even as much creative license as only sharing a name or similar bottle). L’Eau Bleue doesn’t open up as blue, but instead peppery and green. There’s so much pepper! And then it’s a rather traditional muguet/lily-of-the-valley. It’s cool, crisp and green. The dry-down is a sharper, clean musk with woods that reminds me vaguely of the dry-down of stuff like Estee Lauder White Linen but with a little bit of spice.If I were to name this flanker, I would have included “green” or “vert” because it’s such a green, verdant floral. And also because I’m not very creative. How is this one different than Miu Miu? Well, it’s no that different except this one is noticeably more peppery and a tad bit greener. I *actually* think I prefer this version over the original but I like the original’s bottle better. Oh, it’s so difficult to be me! Give it a try if you like vintage muguets. Or perfumes like Jessica McClintock, Coty Muguet des Bois, Annick Goutal Le Muguet and/or Dior Diorissimo. Final EauPINION – A peppery version of Coty Muguet des Bois. To my surprise I really enjoy this one. It’s vintage but modern. Don’t overlook this one if you are a fan of green florals. Available in a few sizes with the 1.7 oz retailing for $94. At this stage, I can’t tell any of the Chloé perfumes from one another because there have just been too many! 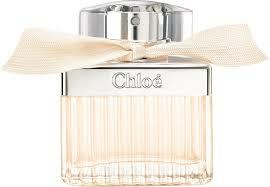 Chloé Fleur opens with a sharp grapefruit and something almost minty. And then it starts to remind me of Lemon Pledge because it’s like a chemical, functional lemon mingling with rosewood. The heart introduces a citrus-hued rose with a cool (and arguably synthetic/plastic-y) black currant. For most of the wear, it’s a citrus-y rose until it dries down to a powdery white musk. Like the other Chloé perfumes, Chloé Fleur is essentially a rose perfume. To me, this flanker smells very much like the original. The difference? Fleur has more citrus and puts more emphasis on the citrus aspect of roses. Give this a try if you like citrus-roses. Or if you like the entire Chloé franchise and for some reason feel the need to collect them all. Or if you like perfumes like Dior Dior Addict 2, Avon Haiku Kyoto Flower, Yves Rocher Moment de Bonheur and/or Versace Bright Crystal. It basically smells like all the designer rose/floral perfumes that come in hot pink bottles. Final EauPINION – A sharp citrus rose soliflore. It feels redudant in the line. As a fragrance, it feels redudant too. I recommend checking out Yves Rocher Moment de Bonheur if you want something like this but don’t want to spend as much money. Available in a few sizes with the 1.7 oz retailing for $105. 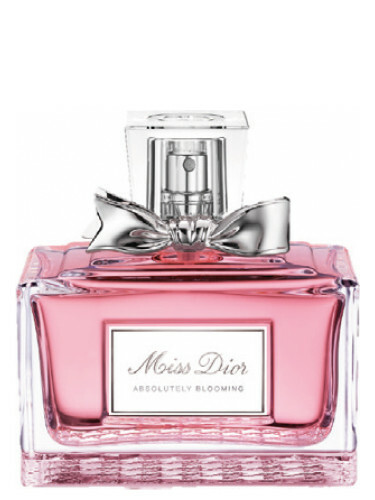 Let me just get this out there – I do not like what has happened to Dior Miss Dior. I do not like that Miss Dior Cherié assumed the identify of Miss Dior. It’s identity theft and I’ll never get over it. I also need to tell you that I never liked Dior Cherié, the caramel popcorn and strawberry syrup always made me want to vomit. My rant is not over. After getting people that essentially liked Miss Dior Cherié to buy Miss Dior, Dior did something nasty. They reformulated Miss Dior to make it more floral. What you can buy today at a place like Sephora is something nobody wants. It’s an entirely new and unnecessary perfume. Basically, Dior owes us all an apology and a lot of other people a refund. OK, now let’s get to this flanker. Miss Dior Absolutely Blooming has a stupid name. The only reason I’m trying it is because I love a fruity-rose. Miss Dior Absolutely Blooming (let’s call it MDAB from now on because I hate typing this name), is a very sweet, candied rose. It opens with pomegranate and generic “red berry” syrup. Raspberries add a needed bitterness to this sweet, syrupy scent. There’s a faint sprinkling of pink pepper. As it wears, it’s like a cotton candy rose and iris. It sort of reminds me of stuff like Lancôme La Vie Est Belle but with an addition of sticky, sweet simple syrup. The dry-down sticks with the sweet theme. It’s like a vanilla custard with the faintest trace of cedar. It’s hard for me to compare this flanker to the original because Dior won’t leave things alone. In my mind, this smells like the Miss Dior that you could buy a few years ago (the sweet fruitichouli one). The biggest difference? I remember there being a patchouli base in Miss Dior and in MDAB, it’s not there. MDAB is sweeter, stickier and creamier. MDAB is more gourmand. Give MDAB a try if you like sweet, gourmand fruity-florals. Or if you like perfumes like Lancôme La Vie Est Belle, Viktor & Rolf Flowerbomb, Yves Rocher Quelques Notes d’Amour, Chanel Coco Mademoiselle and/or Hanae Mori Hanae. Final EauPINION – Pink petals, cotton candy and pomegranate syrup. On my skin, I much prefer Armani Si over this, but my skin loves patchouli. MDAB is too sweet on my skin. I like sweet but I like my sweets balanced by woods or something. Mileage will obviously vary. Avialable in a few sizes with the 1.7 oz retailing for $100. I think all three of these have average projection and longevity with the “loudest” being Miss Dior Absolutely Blooming. All of these are available at Sephora. Sometimes these can be found at discount sites such as Perfume.com. *Samples obtained by me. Product pics from Fragrantica. Post contains affiliate links. Thanks! My nemesis Chloé!! I have a bottle of the original and enjoy it when I want something loud and perky (pesky?). I just have to roll my eyes with each new flanker that does nothing but tweak one little aspect. Lazy and money hungry corporations! Looking at you, Marc Jacobs! 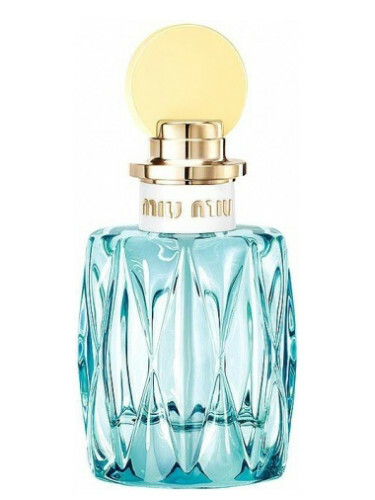 Not being a fan of lots of pepper, Miu Miu never really interested me but I like the bottle design and marketing ads. And Miss Dior is a f-ing mess. ‍♀️ I don’t even bother with it. Thanks for keeping us all well informed, V.
On principal, I hate the Chloés because they are just there to get money. Most of them are just *too* similar and I find that pointless. They do that thinking we’ll be dumb enough to buy every limited edition or like we are loyal to their brand (please, yeah right). Anyway, it gets on my nerves because they aren’t different enough to keep me interested. I realize that I should clarify that the pepper in the Miu Miu isn’t like a black ground pepper, but it’s green and verdant (like an actual pepper, almost). Those are different but it is definitely more peppery. I’m just mad at Miss Dior for so many reasons. Dior is having some sort of crisis or something. They will not leave this alone. That is the WORST! You don’t know what you’re going to get from one year to the next. It’s beyond annoying. Actually, it’s borderline unethical at this stage to gain a customer’s “trust”, take their money and then give them something that is basically unrelated. Ugh.